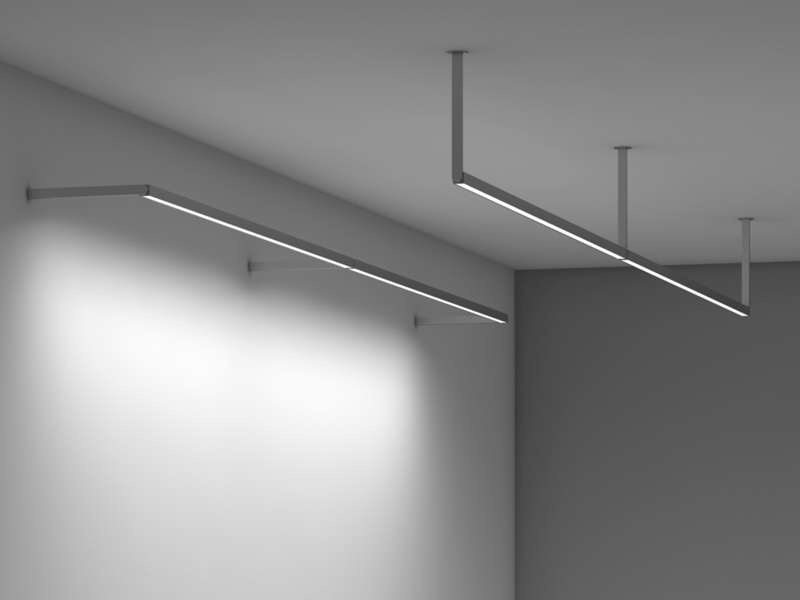 Direct or indirect lighting for open office, wall wash and ambient applications. Ideal for general interior and open office applications where an elegant adaptive lighting is required. Highly efficient, extruded aluminum fixture with aesthetically-pleasing mounting options. Square profile, 1.14” (29mm) x 1.14” (29mm). Output up to 1367 lm/ft (4485lm/m) (HO), 120 lm/W (SO). 80 or 90 CRI & tunable white (2200K-6500K) available. Full range dimming power for all protocols. Remote PowerCenter up to 72’ (22m) away. Batwing, FlyWingTM, MicroBaffleTM, diffuse lens and narrow optics availble. Directional control with 370º rotation, angle gauge and lock.